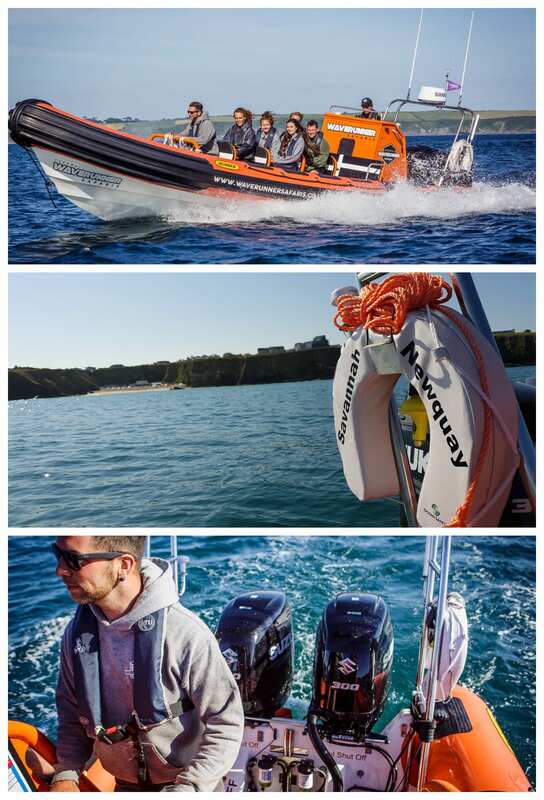 Join us on the water to explore the Cornish coastline from a new perspective on our Power Boat tours in Newquay. One of our fully qualified skippers will take you close to the coastline and along the dramatic cliffs of North Cornwall. We aim to keep our boat tours different and exciting so we will head on a number of routes around Newquay and the surrounding areas, depending on the sea conditions. If you are lucky, you may even get to see some of the locals including seals, sunfish & dolphins! Heading North up the coast, we look to pass by beaches such as Watergate, Mawgan Porth and Whipsiderry. If we head down South, we will pass beaches such as Fistral, Crantock, Perranporth and Porthtowan. Our Power boat was custom built for our team in 2018. After working with major partners in the boating world, we were proud to bring you this incredible boat with 600hp of engines, supplied by our sponsors at Suzuki Marine. With the capability of speeds in excess of 60 knots, seating 12 passengers and 2 crew. Been on the Power Boat Tour before? Why not try one of our Jet Ski Safaris?